This neck started out as a .75 X 3 inch maple board. 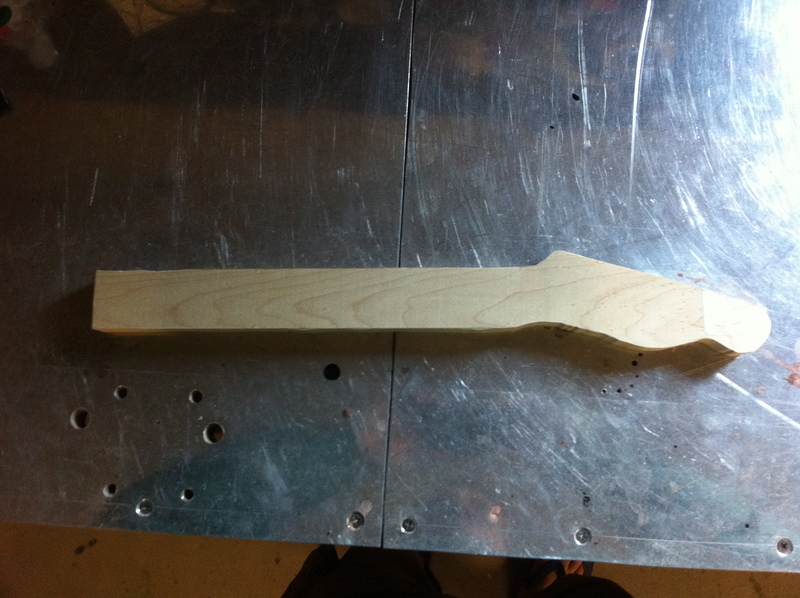 I traced out the headstock and figured out how long the rest of the neck needed to be. The overall scale length will be 15 inches. Once again, a scroll saw was used to cut the wood. I marked the nut and fret positions and then used the “waste” piece to keep the neck square as I cut the slots with a thin bladed saw and a miter box. Once I get a drill press, I’ll drill the tuning machine holes. I will use black dots as the fret markers. These will contrast nicely with the maple wood. I used a roundover bit on my router to rough out the profile of the neck. 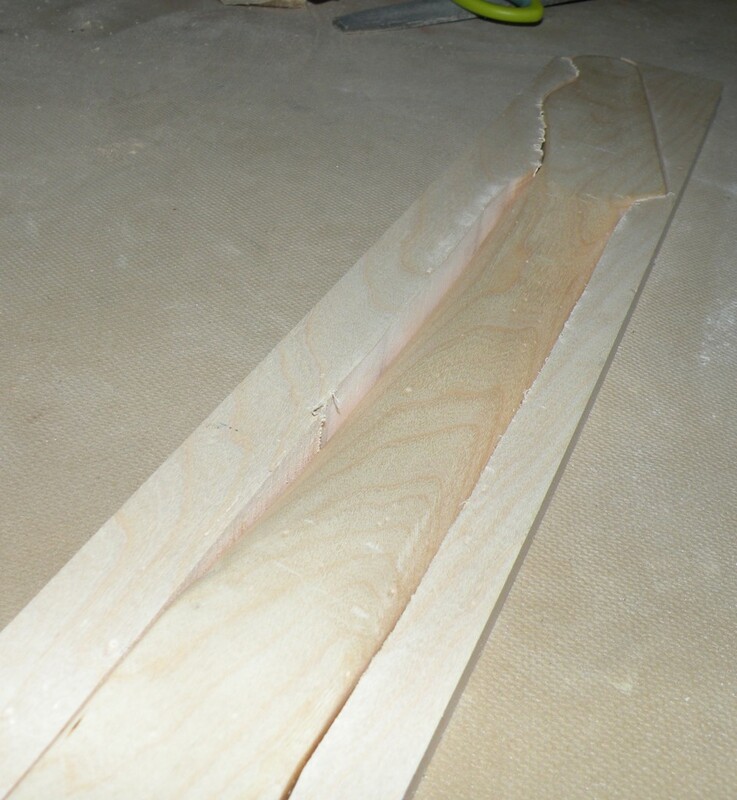 A spoke shave is an awesome tool for carving necks. With it, I was able to transform the bulky, squarish board into a smooth and comfortable neck in a relatively short time. Some 100 and 220 grit sandpaper also helped to get rid of the rough edges. Once I drill the holes, set the frets, and inlay the dots, the neck will be ready for a clear coat laquer.